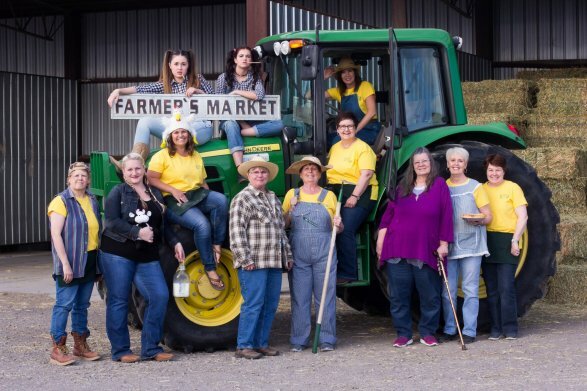 Located in Springville, Utah, at the edge of the Wasatch Mountain range, 50 miles south of Salt Lake City, Corn Wagon Quilt Co. was established in 1999. 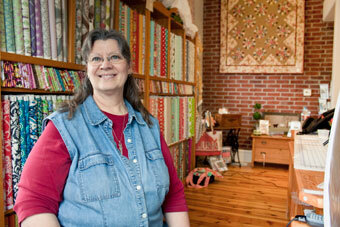 Owners, Jud and Marsha Harward, designed and built the 3-story shop to inspire quilters — from start to finish. We occupy 4,000 sq. ft. of building space to bring you the latest in quilting and stitchery ideas and products. Our goal is to provide you with expert, friendly advice whether it be in fabric selection, piecing, quilting or any stitchery questions you may have. We are always happy to support and encourage you in your creativity. We would like to thank our wonderful customers for keeping us in business all these great years. Also, a big thank you to our wonderful teachers who put in many hours to bring you the latest and greatest in quilting instruction. Thank you for visiting our website and be sure and stop in to see us when you are in the area. We consider anyone in our shop as a friend — Hope to see you soon. We offer custom quilting by Ramona Sorensen. Her work has been published in several quilting magazines.